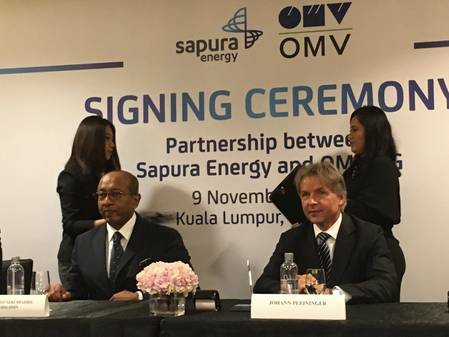 Malaysia’s largest oil and gas services company Sapura Energy Berhad and Austria’s OMV Aktiengesellschaft have agreed to form a new strategic partnership that will see the creation of a new joint venture independent oil and gas company. OMV Exploration & Production GmbH, a wholly-owned subsidiary of OMV Aktiengesellschaft, has paid $540 million for a 50% stake of the issued share capital in the newly formed SapuraOMV Upstream Sdn. Bhd. Malaysia based SapuraOMV Upstream Sdn. Bhd is a independent oil and gas company focused on Asia Pacific and Mexico with an expected life of field production of approximately 260 mn boe and strong growth prospects. An equal number of representatives from both sides will sit on the board of directors. In addition, Sapura Energy and OMV agreed to an additional consideration of up to $85 million based on certain conditions, mainly linked to the resource volume in Block 30, Mexico, at the time the final investment decision is taken. Both parties have also agreed to refinance the existing inter-company debt of $350 million.